TopRank Marketing world headquarters is based in Minneapolis, Minnesota. Our services and advice reach far corners of the globe thanks to WebEx, Google Docs, Skype, Phone, Email and you know, the internet!. 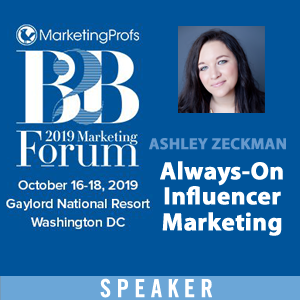 With a combined network of over 300,000 fans, friends, followers and subscribers, you can connect with the TopRank Marketing team on Facebook, Twitter, Google+, LinkedIn, or through our online contact form. 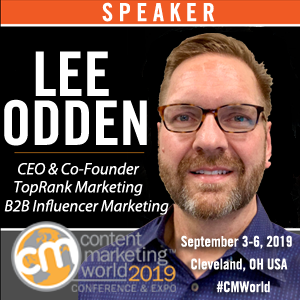 Lee Odden is CEO and co-founder of TopRank Marketing. 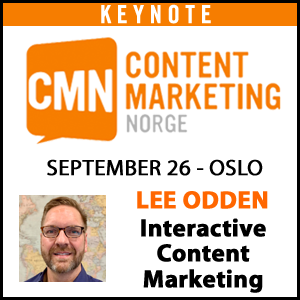 Recognized by Onalytica as a top 10 B2B and Digital Marketer, Lee is a passionate advocate of integrated marketing and public relations. Lee’s expertise is in-demand globally having given over 150 presentations in 13 different countries. It’s a good thing too, since he loves to travel, meet new people and experience food and culture in new places. Lee drives overall strategy and what’s next with our agency, serving as an industry thought leader and by publishing over 3,000 blog posts and articles – over 1.2 million words on our award winning Online Marketing Blog. 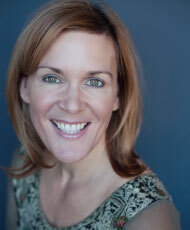 Lee literally wrote the book on integrating SEO, Social Media and Content Marketing, called: Optimize. 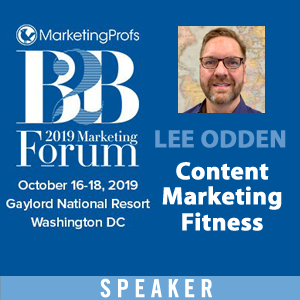 Lee has provided consulting for numerous Fortune 500 companies over the past 15 years and has been recognized for his expertise by the Wall Street Journal, The Economist, Forbes and the Minneapolis Star Tribune. 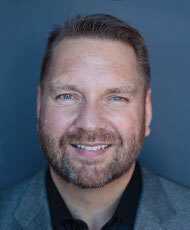 Catch up with Lee on Twitter @LeeOdden, LinkedIn or Instagram. You can find Susan on LinkedIn.